When I first heard about the project, the story of an astronaut who comes home from space and has trouble adjusting to "normal" life, I wondered how interest could be sustained for an entire feature. Now that I've seen the first trailer for Lucy in the Sky, I wonder no more. Noah Hawley is at the helm. He is a novelist who gained experience writing for television (clever medical show Bones) and later created a refreshing version of Fargo for the small screen and the psychedelic FX series Legion, which has its origins in comic books but is more fascinated by the outer reaches of the mind. It is, quite literally, fantastic and surreal. 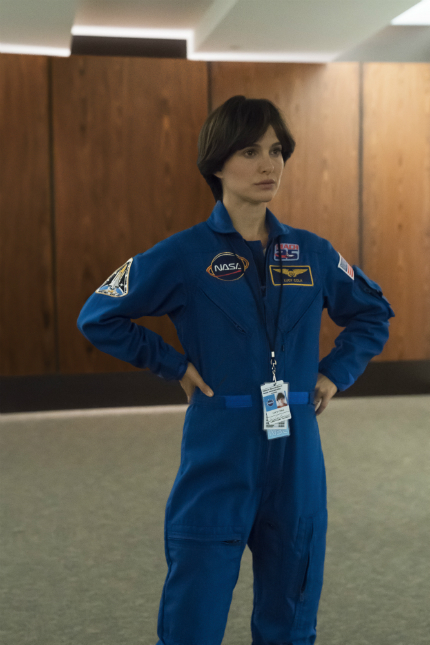 "Natalie Portman plays astronaut Lucy Cola, who returns to Earth after a transcendent experience during a mission to space - and begins to lose touch with reality in a world that now seems too small." Fox Searchlight will release the film in theaters later this year. Watch the trailer below.